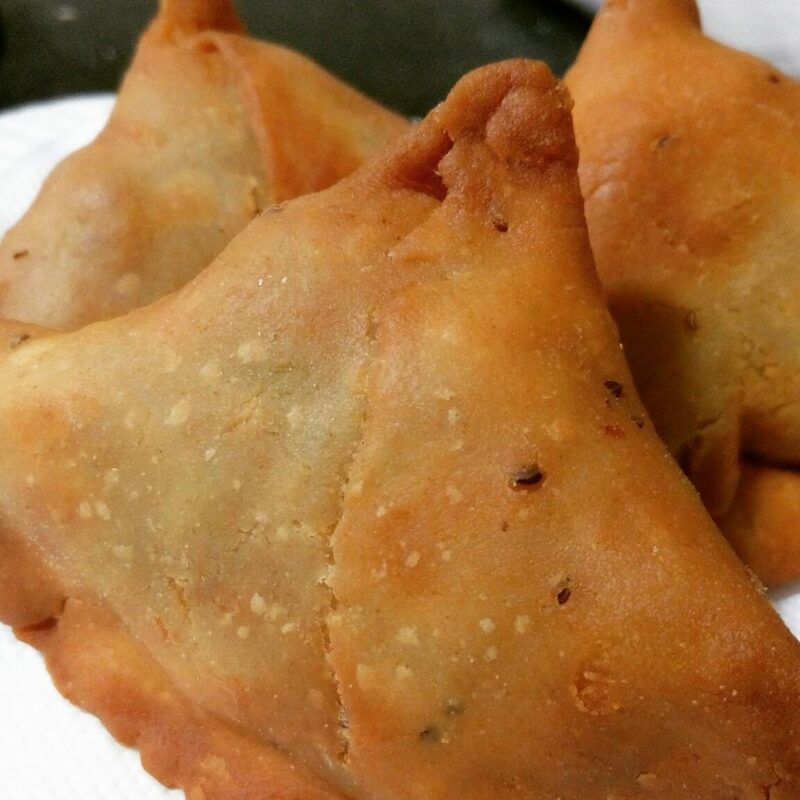 Punjabi Samosa : Delicious Tea Time Snack! Punjabi Samosa : Delicious Tea Time Snack! is a popular snack item and a favourite snack of all. Today I am sharing the recipe of Punjabi Samosa which is one of the most famous snacks of North India. The spicy potato mixture stuffed in the dough then deep fried. It is crispy from outside. This taste awesome with green chutney and tamarind chutney. This recipe was asked by one of the readers on Facebook. Samosas are generally served hot with a cup of tea in India and if you haven’t tried making it at home, then you should definitely try it. Take All Purpose Flour or Maida and put vegetable oil and salt in it. Make dough out of it (not too tight or loose). Cover it with a muslin cloth and keep it aside for 15 minutes. Boil the potatoes in the pressure cooker and take two whistles. Peel the potatoes and cut them into very small pieces. Put one teaspoon oil in a pan. Once the oil is hot, put the potatoes and all the spices mentioned above and then mix them thoroughly. After heating it for 5 minutes on slow heat, take the masala in a plate and keep it aside so that it can cool down to room temperature. Take half teaspoon maida and mix it with 2 tablespoon water. Join the two straight ends of the halved piece and give it a shape of a cone. Put the samosa masala in the samosa cone and put the maida water again on the top. Now seal the samosa cone and it should be done properly and tightly sealed so that masala does not come out while frying. Take a pan or kadai for deep frying and put vegetable oil in it. Oil quantity should be half the pan depth such that samosa can be completely dipped in it. Heat the oil well and now put the samosa cones in it at low flame. Fry it completely from all the sides thoroughly till samosas turn golden brown. Hot, mouth watering samosas are ready ! Serve Samosas hot with garma garam chai (Indian Tea) and tomato sauce/green chutney and enjoy! !